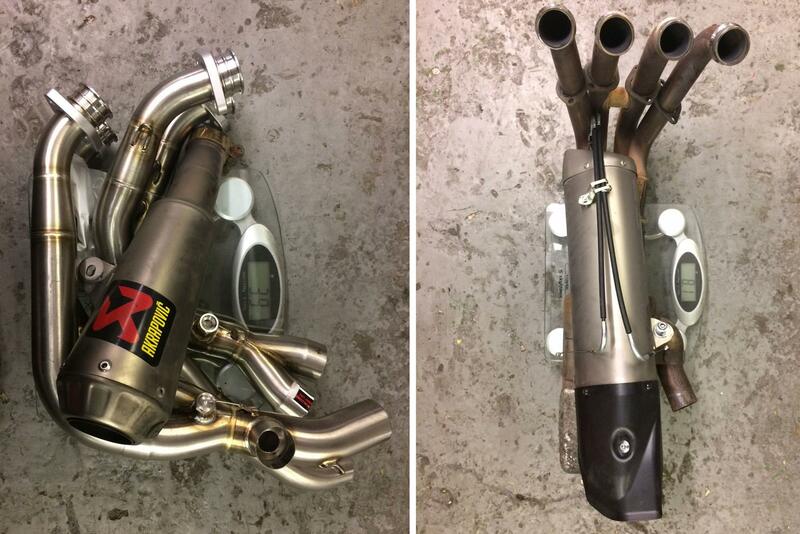 The craftsmanship in the Akrapovic headers is stunning. They’re feather-light and beautifully made. I fitted the slip-on Akrapovic end can (£323) a few months back. Now it's time to add the ‘optional headers’ (£685) to make the Akrapovic slip-on option into a full system configuration. This now means I can lose the cat-converter, which reduces weight and should increase power and torque. I decided to weight the full Akrapovic system 3.9kg against the complete standard Yamaha system 8.1kg – that’s an impressive weight saving. The system took just under two hours to fit; thankfully we didn’t have to remove the radiator.